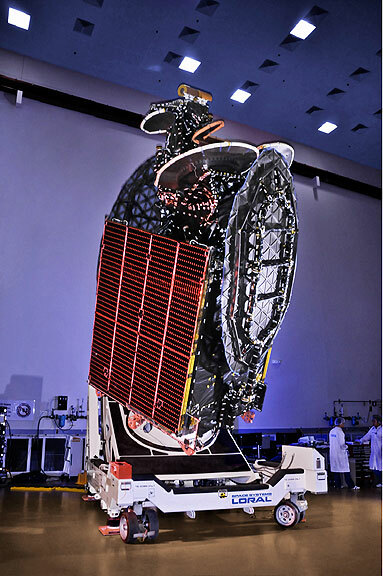 Photo of the AsiaSat-7 satellite is courtesy of Space Systems/Loral. AsiaSat 7 will carry 28 C- and 17 Ku-band transponders, and a Ka- payload. Its region-wide C-band beam covers Asia, the Middle East, Australasia and the Commonwealth of Independent States, with Ku-band beams serving East Asia, South Asia and a steerable Ku beam to satisfy market demand. AsiaSat 7 is based on the highly reliable Space Systems/Loral 1300 platform which offers the flexibility to support a broad range of applications and technology advances and will provide service for over 15 years.